Green. It seems like the only color represented in my refrigerator this time of year. It makes sense: kale, swiss chard, cabbage, bok choy, mustard greens, leaf lettuce…they’re all coming to harvest. I must use them up! Good news. Through word of mouth and trial and error we picked up several tips to help you avoid precious greens withering away in your field and fridge. Whether growing them yourself, getting them in a CSA, or having them given to you by generous friends, greens can be tricky produce to use up each week. Which brings us to the several ideas we use in our house to make sure the greens end up in our diet and not the compost pile. The obvious choice, salads, can often be kind of a ho-hum dish for your spectacular greens. Toss your salad with a homemade dressing, homemade croutons, dried fruit, and your favorite veggies to add a little excitement. Even kale can be made into a delicious salad that won’t get soggy in the fridge if you store leftovers. Special preparation will ensure tender leaves so you’re not chewing for hours. Check out Matt’s technique for prepping kale for a salad. I have recently gained an appreciation for cole slaw. It has been a great way to use up heads of cabbage and incorporate some other veggies like carrots, cucumber, red onion, etc. We have experimented with mayonnaise-based and vinegar-based slaws…vinegar slaw being the front runner. For my winning slaw, I doubled this recipe and used one head of Napa cabbage (instead of the bag of slaw mix the recipe calls for). One summer, certain we had accidentally signed up for a Kale Share instead of a regular farm share, we discovered kale chips. Kale chips are easy to make and fun to snack on. This is our method for quickly downsizing a large amount of greens into the smallest size possible…mostly so we can make room in the fridge. We have used this technique to process kale, mustard greens, and collard greens, but could be used for others as well. After rinsing well, we cook the greens in water for about 8 minutes, using about 1½ cups of water per head of greens. The greens will cook down substantially. After cooking, strain water out of the greens. Add greens to a blender to make a nice, smooth puree. The puree can be frozen or stored in the refrigerator for more immediate use. 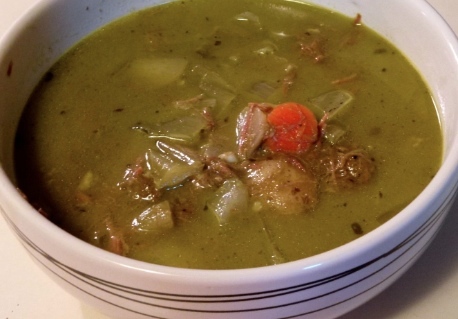 If you’re feeling brave, allow greens to show their true colors (literally) in a soup. Matt recently used the “cook and puree” method and added some to a vegetable beef soup he made. Had it not been for the bright green color, I never would have known about the guest appearance greens were making in that soup. Greens can also be chopped and added to soups. I am dying to make a white bean and kale soup this summer. Or how about this soup with pasta and greens…looks delicious! Have you ever experimented with greens made into sauces? Pesto is one of my favorite summer sauces to whip up. Make a pesto with various greens and serve over pasta, as a dip for veggies, or spread on crusty bread. Use greens to create a wrap containing some of your favorite traditional sandwich ingredients. Swiss chard is tender yet crunchy, making it a great shell for a veggie or meat sandwich. Try a chard wrap stuffed with couscous, red bell peppers, shredded carrots, tomatoes, avocado, and fresh basil. Bok choy is the perfect addition to a fast weeknight stir fry dinner. An entire head can be chopped up and used with your other favorite wok-worthy ingredients. The leaves cook down wonderfully and the stems offer the perfect crunch to this dish. Instead of letting the greens intimidate you, try some new tasty methods and utilize this season’s bounty. Are you finding new ways to incorporate greens into your menu? Please share with us! Betsy holds a bachelor's degree in Psychology and a Master's degree in Counseling, and for nearly a decade worked as an elementary counselor. In 2011 she left her counseling career to pursue healthy living. She loves using DIY Natural as a way to educate people to depend on themselves to nourish their bodies and live happier healthier lives. Connect with Betsy on Facebook, Twitter, and her +Betsy Jabs Google profile. 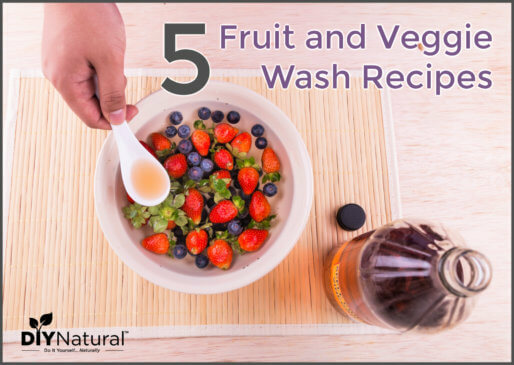 It’s a fruit wash. It’s a vegetable wash. Yep, it’s a fruit and vegetable wash! 5 natural recipes for removing wax and other nasty residues from your produce. It does sound delish! I’d be interested to know if the kale was tender after the pizza came out of the oven. Did you chop it into small pieces or leave it in big chunks? Thank you Cheryl! This is almost exactly what my mom used to make. I think it was her way of sneaking us the cabbage as well. 😉 You’ve inspired me to make some and freeze for later! This sounds great! and I love that they’re freezer friendly. Sautee a few cloves of minced garlic & sliced onion with sliced up greens in olive oil. If you like your greens a little more tender, just add some water to your skillet as it starts to get dry instead of more oil so they don’t get too oily. Or, if you’re busy with other things, I usually sautee it for a little while until the greens turn really bright green and cook down a little. Put enough water in it to keep it from getting dry, put a lid on it, but check back often so it doesn’t get dry and start to burn (which can happen fast). Cook chicken in a very large skillet with olive oil. Put rice on to cook. When it is done, set it aside. While chicken is cooking, wash chard & slice leaves & stems into ½ inch strips & chop onion. When chicken is done, remove from skillet, pull apart into bite sized pieces & return to skillet. Meanwhile, add garlic, onion & chard to the skillet. Continue cooking until veggies are tender, but not mushy. Add soy sauce and cooked rice, mix well. Place mixture in an oven proof dish, top with cheese. Place under broiler just long enough to melt cheese. *Serve with extra soy sauce & delicious bread. Looks fabulous Jennifer! Thanks for posting! Last but not least, when you are about to compost all those pieces you didn’t think were good enough to eat, save your scraps (freeze them if you need to) until you have enough for a 2 quart pot and make BROTH. Put all in a pot, cover with water, add some seasonings, and let it cook for a couple hours. Obviously you need to watch that you don’t put certain items like hot peppers in there as it will affect the outcome. Then you can compost knowing you have used absolutely everything you can. Runzas are the best use for the cabbage. When I have lots of extra, i make up the meat filling and freeze it and then I can make up the bread dough (or use freezer bread dough) when I want to make the runzas and it is really easy. I have the recipe and have made them for years. I can post it if you want it. This time of year is great to make the filling. I would be interested in your runza recipe. Please post it for us. Thanks. I wonder if this is similar to kraut barok that my mom used to make when I was young. I’d be interested in seeing the recipe! Coincidentally, I just came in from the yard, where I harvested plantain ‘weeds’ to cook with. I’m going to do the white bean soup … only with black beans since I have those cooked. 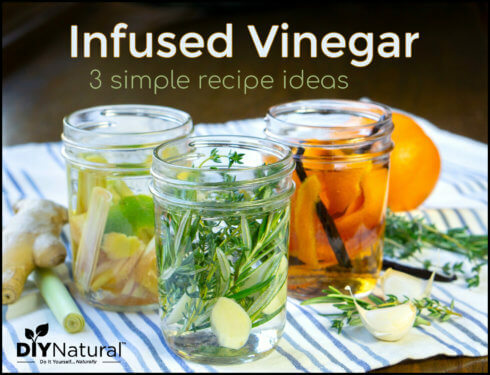 Definitely add some other veggies to it…great idea! I also blanch mine then freeze them when I know that I will not use them before they go bad. Then they are there when I need them. Hey! Don’t forget about juicing! 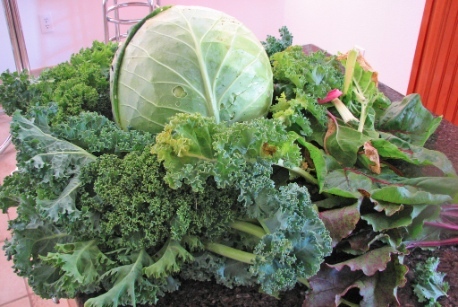 This is a great way to use a lot of greens and get their full, raw, nutritious tastiness. If green juices are daunting to you, add an apple for sweetness, a whole lemon and a nub of ginger and trust me- you really won’t mind the taste at all!